Bhadrajun, located 97 kilometers from Jodhpur, is a small village in the Jalore district of the western part of Rajasthan. It has been significant since historic times of the Mahabharata epic, but is presently remembered as the warfare between the rulers of Mughal and Marwar Dynasty. This small village features number of historic monuments in and around the village of Bhadrajun. 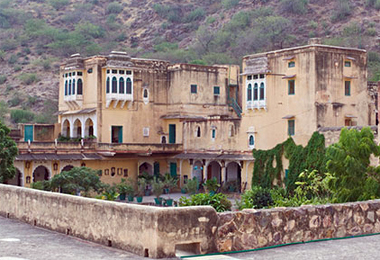 A major prime attraction of the place is the Bhadrajun Fort, known for its history and status and is presently converted into a heritage hotel. The heritage hotel of Bhadrajun is situated on the top of rugged hills. This luxury hotel offers its guest with accommodation in terms of 14 furnished rooms with attached bathrooms. The heritage hotels in Bhadrajun are well appointed with all modern day facilities to cater to the needs of modern traveler. During your stay in this luxury hotel enjoy exploring its old world charm that remains intact and preserved in great forms. So next if you plan to visit Bhadrajun for its old world charms and magnificent sightseeing book your stay in its heritage hotels with Heritagehotelsofindia an online portal to avail great discounts.